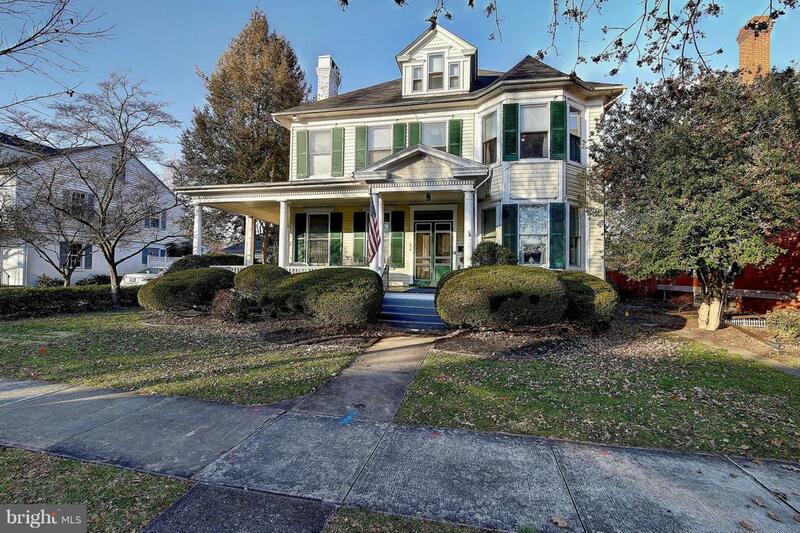 This beautiful, historic Victorian home was built in 1915 and is located in the highly desirable Baker Park! Over 5,000 square feet of living space showcases 5 bedrooms (with an optional 6th) and 4 full bathrooms. The original hardwood flooring can be found throughout the home. The family room is bright and has a brick fireplace. The spacious eat-in kitchen features a butler~s station and plenty of storage space. Also on the main level is a formal dining area, living room/office, and large sunroom with built-in bookcase and lots of windows! 4 bedrooms are located on the 2nd level; on the 3rd level there is another bedroom and living area with storage space. The lower level has an optional 6th bedroom. Each level features a full bathroom. The home boasts a gorgeous wrap-around front porch, new roof, and tons of parking with a detached 2 car garage and additional 3 car carport. Excellent Location ~ Baker Park Community features soccer fields, Memorial Park, Culler Lake, community pool; Blocks from unique shopping, great dining experiences, and several breweries in Downtown Frederick; close to Frederick Keys Stadium and within walking distance of Frederick~s many community events!